PM Netanyahu addresses the media, says Bulgaria attack "was part of a global terror campaign by Iran and Hizbullah." 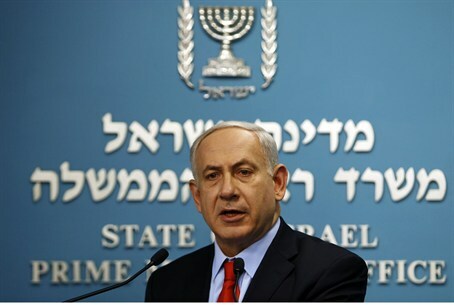 Prime Minister Binyamin Netanyahu addressed the media on Thursday, condemning Wednesday’s terror attack against Israelis in Bulgaria, and once again blaming Hizbullah and Iran for the attack. Hizbullah chief Hassan Nasrallah did not mention the attack in a speech he gave on Wednesday evening, but Channel 10 News quoted an official with Hizbullah as having denied any involvement in the attack. “The claim that we hit tourists is ridiculous,” said the official.